Born on 2nd October 1869, Mahatma Gandhi, the renowned Indian personality devoted his entire life, fighting for India’s freedom from the long British rule. Being the chief advocate of non-violence in the freedom struggle, Mahatma Gandhi fought for India’s freedom through various movements across the country. His contribution to India’s freedom is beyond measure as his policies mainly focused on non-violence. 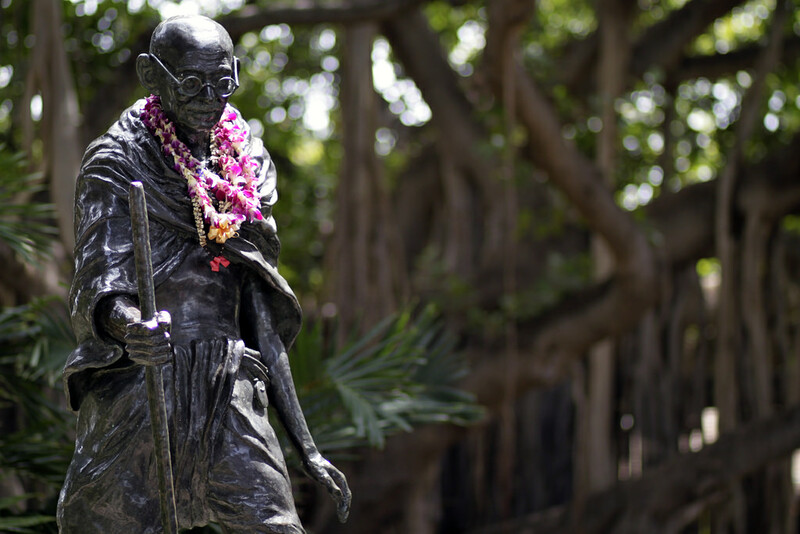 To know about the incredible inspiration that Mahatma Gandhi is, here are some of the various national movements led by him, which took India towards its freedom from the British rule. Gandhi’s very first active involvement in the Indian freedom struggle began with the Champaran agitation in Bihar. The Champaran farmers were compelled to grow indigo crops by the British and were liable to torture when they protested for the same. With Gandhi’s help, the farmers ought to a non-violent protest and gained success in the same. When the Kheda village in Gujarat was hit by floods that destroyed the crops, the local farmers pleaded to the British rulers to exempt them from the taxes, whilst seeking some relief. To help them, Gandhiji started a campaign where peasants pledged non-payment of taxes. In 1918, the government relaxed the tax conditions until the famine ended. After the First World War, the Muslims in India feared the safety of their Caliph. Gandhiji hence organized a countrywide protest to fight against the diminishing status of the Caliph and went on to become the spokesperson of the All India Muslim Conference. This movement marked one of his many attempts to unite various sections of the nation into one uniform entity fighting for freedom. Gandhiji realized that the Britishers were successful in ruling India because of the cooperation they received from the Indians. It was then he started the non-cooperation movement with the support of Congress. He convinced the masses that a peaceful non-cooperation movement would bring them independence from the British rule. Setting the goal of Swaraj or self-independence, Gandhiji went on to successfully fight for India’s freedom. During the Second World War, the British started hiring Indians for the war. Gandhiji protested and affirmed that the Indians cannot be a part of the war, which was in favor of democratic purposes since India wasn’t a democratic or a free country yet. This argument led the British to pack their bags and leave India. The British had imposed a tax of salt production and used force to stop any attempt of the local populace to make salt. Seeing salt as a core commodity that affected every segment of the Indian society, he launched the Salt Satyagraha. Also known as the Dandi March, the satyagraha gained worldwide recognition and eventually inspired similar protests across India. Even after India’s independence, the Dandi March continued to inspire activists abroad, like the Civil Rights Movement in the U.S.A. While we have read a lot about all these movements, especially the Dandi March, there is still a lot to discover. I found one such discovery waiting to be explored is this short film called ‘Khaar’ a short film that released on ZEE5 on 2nd October 2018. Going by the trailer, the movie seems to be exploring some new perspectives into the iconic Dandi march that most of us were unaware of. So what do you think about these freedom movements by Gandhiji? Let me know in the comments. Previous Post:Girls Clothing: How To Dress Up Your Little Angel?